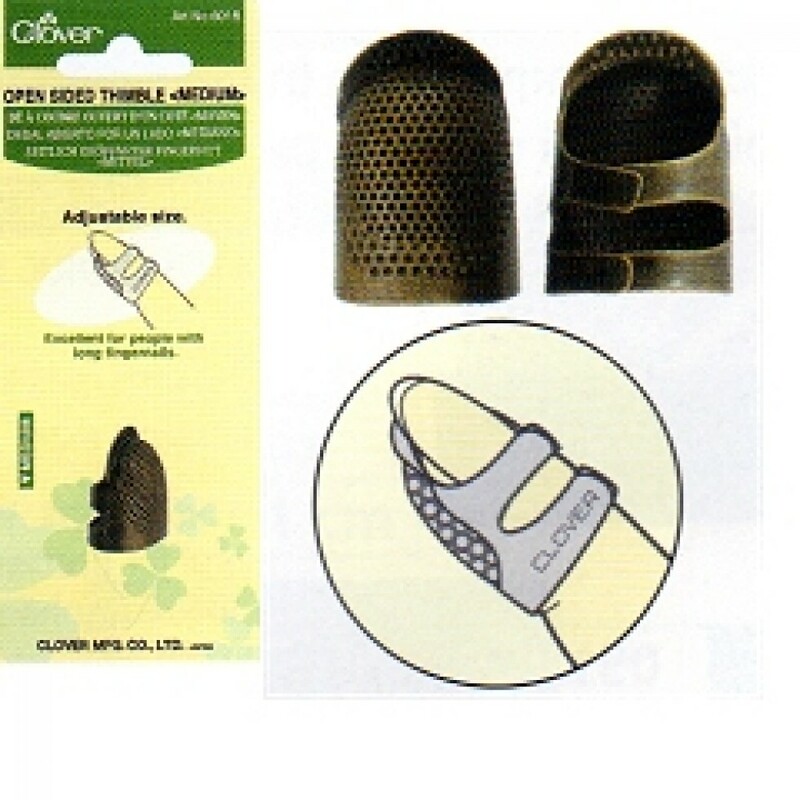 Adjustable open sided thimble that fits your finger comfortably. Designed with an open top to keep your finger from perspiring. Dimpled for easy use on needles. Suitable for people with long finger nails.